Round 2 of the2019 AFL season continues on Friday night with an intriguing encounter that sees the Swans host the Crows at the SCG. Both teams are coming off a disappointing round one loss, meaning this should be a hotly fought contest between two teams desperately trying to avoid starting off 0-2 on the year. Below, we’ve provided a comprehensive preview of the blockbuster clash, as well as our usual best bet for the game. As always, good luck to everyone following! We’ve had a great start to the season with our footy tips bringing about great return on investment for our followers. 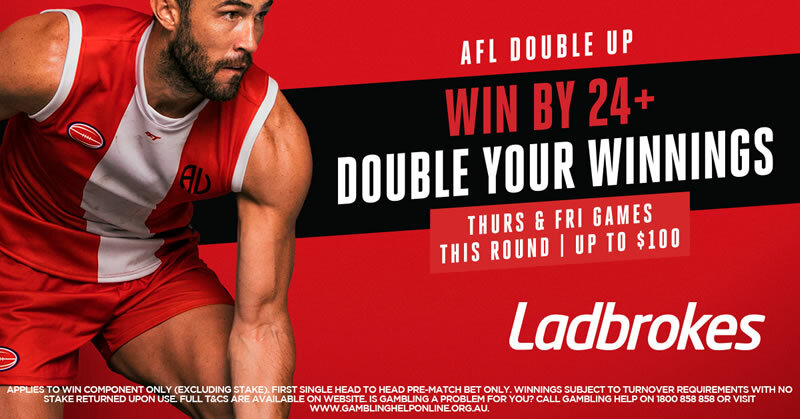 Here, we’re focusing purely on the Friday night game between the Swans and the Crows, but if you’re after previews and tips for the rest of the Round 2 action, make sure you head to our AFL Tips Page. We’ve got an intruiging Friday night match on our hands in Round 2 with the Sydney Swans hosting the Adelaide Crows at the SCG. Both clubs are expecting to improve on what were largely disappointing 2018 campaigns, although they both got off to rocky starts this season with Round 1 losses.